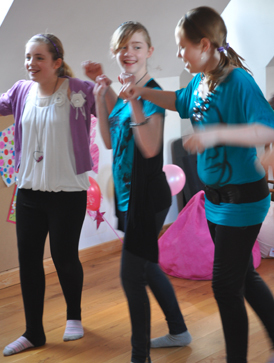 Dancing and Games Party is our most popular party and a good base for optional add-ons too. Games – both to music and without. Music on speaker system suitable for most village hall sized venues. 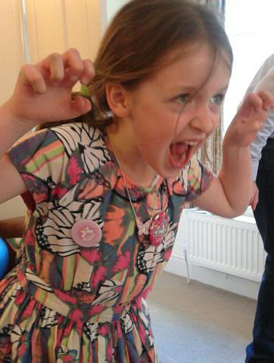 This party is adaptable for all ages from toddler to teens (or even adult – we do hen parties too!) 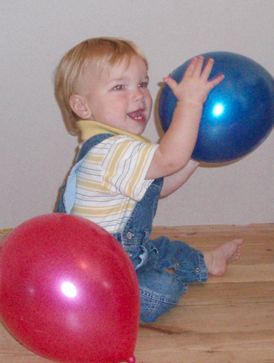 Toddler parties include more circle based singing and instruments, and we adapt the complexity of games and style of dance according to age. 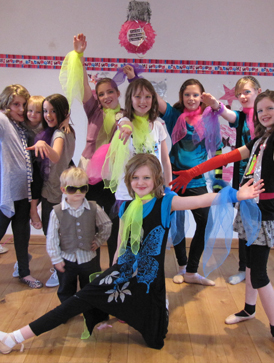 Our entertainers also teach dance in various styles including street dance and gymnastics in nurseries, primary and secondary schools as well as after school clubs and so are used to age appropriate activities. There is no set format and we assess the party as it is happening to see what the children are responding best to and enjoying the most. There is a 1 hour 15 minute package, or a 2 hour package outlined on our Prices page. Various add-ons are available for the 2 hour package.